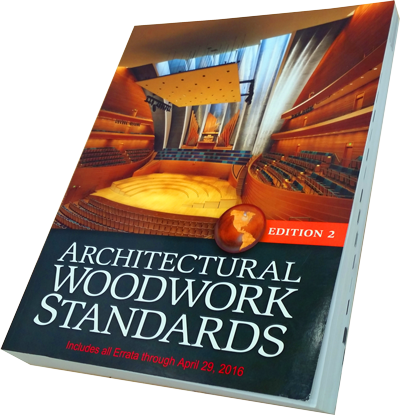 The Architectural Woodwork Institute (AWI) is proud to announce the release of the first four standards included in the long-awaited suite of AWI Standards. Industry professionals who have been using the Architectural Woodwork Standards, Edition 2 (2014) (AWS2) will likely notice some distinct differences in the requirements contained within the new AWI Standards. Through a rigorous vetting process, the AWI Technical Committee has re-evaluated the requirements currently contained within the AWS2 and eliminated prescriptive requirements where possible. 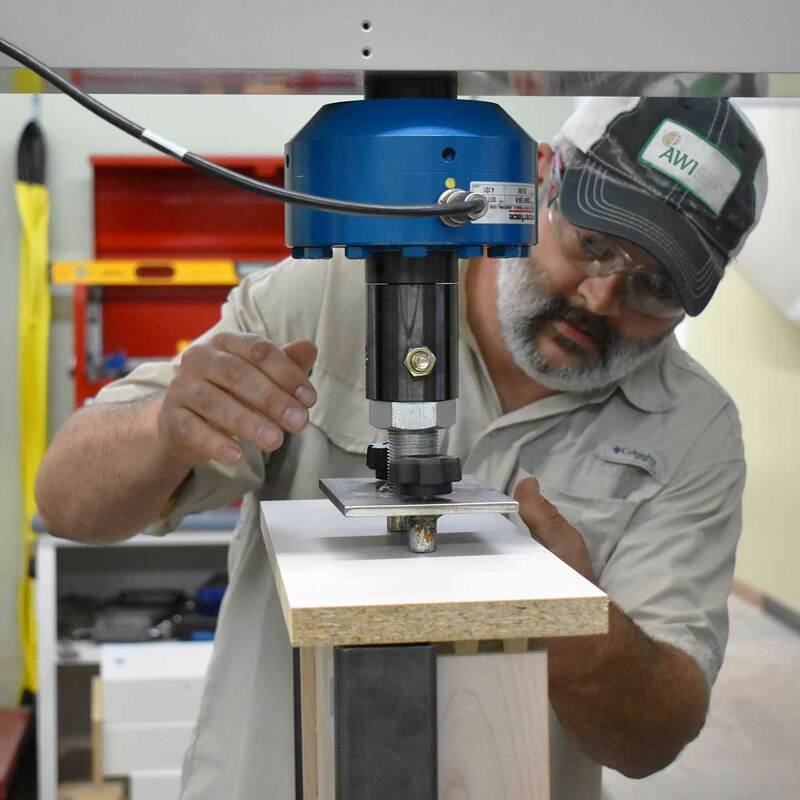 ANSI/AWI 0620-2018 - Finish Carpentry/Installation then went through the American National Standards Institute (ANSI) approval process, during which it was considered once again by professionals from all aspects of the architectural woodwork industry. The new AWI Standards focus heavily upon the structural integrity of architectural woodwork and related interior finishes as opposed to presenting prescriptive requirements. The AWI Standards are intended to give installers, manufacturers, and suppliers a broader range of options in meeting customer demands while maintaining the integrity of their workmanship. The AWI Standards released in February 2019 will take effect on March 15, 2019. On that effective date, the new AWI Standards will supersede their respective sections of the AWS2. AWI 100 – Submittals will replace the requirements in Section 1 of the AWS2. AWI 200 – Care & Storage will replace the requirements in Section 2 of the AWS2. AWI 300 – Materials will replace the requirements in Section 3 and Section 4 of the AWS2. ANSI/AWI 0620-2018 – Finish Carpentry/Installation will take the place of the Installation portions near the end of each section of the AWS2. Until the date on which the new AWI Standards take effect, architectural woodwork industry professionals will continue to use the AWS2 to access the requirements for their projects. To ensure up-to-date compliance during the transitionary period, specifiers should specify compliance with AWI Standards, Current Edition. 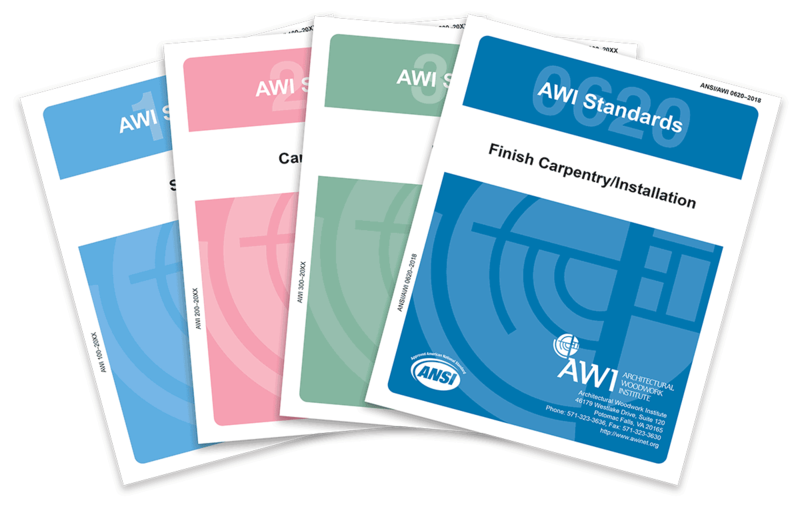 The new AWI Standards are currently available through AWI Publications. Non-member technical assistance is available only by e-mail inquiry. Send your inquiries to help@awinet.org and you will be answered in a timely manner. General Note: AWI does not render opinions related to standards compliance based on your description or photographs submitted. AWI does not recommend one company member over another. AWI is currently offering Laboratory Testing Services through the AWI National Testing Center. The new AWI Standards are set to be game changers, allowing industry professionals greater flexibility following specific criteria for performance and quality when purchasing, manufacturing, or installing architectural wood components. For the first time, manufacturers and suppliers will have the opportunity to comply with AWI’s new Performance Duty Levels while also leveraging cost savings from unique and innovative joinery methods and manufacturing processes. Click here for more information or to sign up and reserve your position in the testing schedule. The Architectural Woodwork Standards (AWS) is the guide for the specification, construction, and installation of interior architectural woodwork. The AWS is a definitive reference manual designed to simplify and clarify guidelines, information and principles required for fabrication, finishing, and installation of architectural woodwork. It provides design professionals with a logical and simple means of comprehensively specifying woodwork elements. 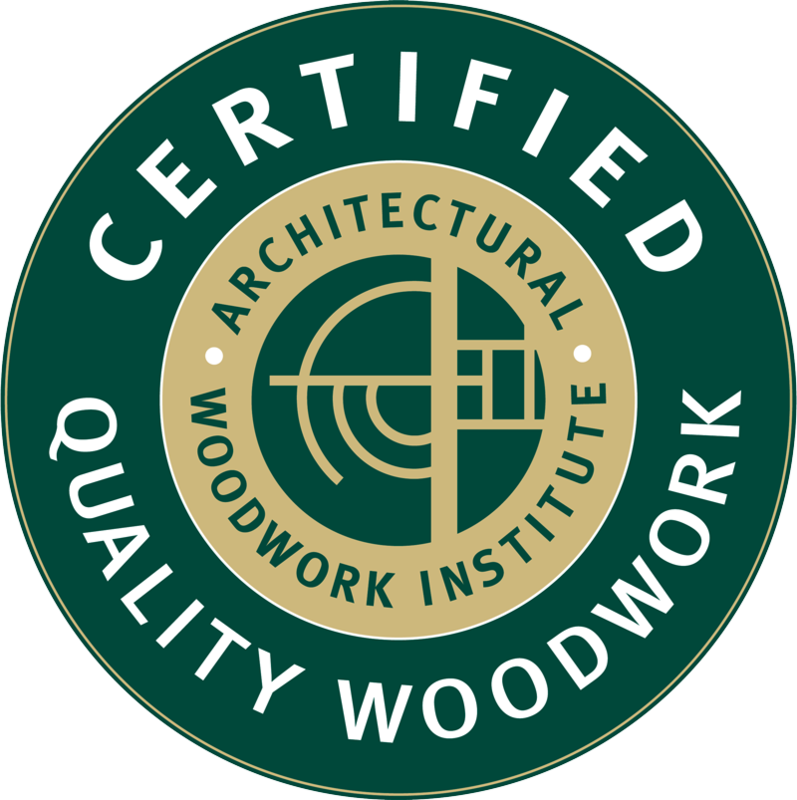 The AWI Quality Certification Program (QCP) is a valuable quality assurance organization that aids in the delivery of fine interior architectural woodwork. QCP is endorsed by the American Subcontractors Association (ASA). Click here for more information about standards compliance. Woodwork compliance inspections can be obtained by the AWI Quality Certification Corporation’s network of independent expert inspectors. The only requirement for a compliance inspection is that the Architectural Woodwork Standards must have been incorporated into project’s construction documents. Contact Randy Estabrook for inspection information at restabrook@awiqcp.org or by phone at 571-364-7319.